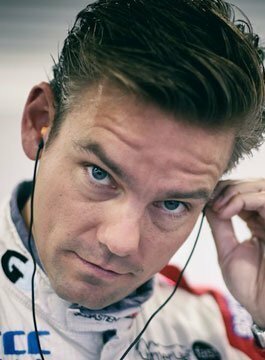 Tom Chilton is a British World Touring Car driver who in 2016 joined forces with Sébastien Loeb Racing to get behind the wheel of their Citroen C-Elysée race car, a machine capable of providing Tom with podiums and race wins as he goes after his first WTCC Championship title. After 10 highly successful years in British Touring Cars where he was the youngest race winner at 19 years old in 2004, he went on to take 12 wins, 45 podiums, the manufacturers title and the 2010 BTCC Independent Championship. He made the jump to World Touring Cars in 2012 and was immediately on the pace picking up a best Yokohama Independent Championship finish of 3rd in 2015. Tom is the brother of Indycar and F1 driver Max Chilton.